New Low Rates – Book your Tee Time Today! The course is in great shape and so far the bunkers are rebuilt on 12 of our holes. We would like to invite you to come and see the difference for yourself. Take advantage of these NEW LOW RATES until bunker completion. Click here to tee it up! https://i0.wp.com/www.shakerrungolfclub.com/wp-content/uploads/2018/05/2018-05-28_1535.png?fit=590%2C282&ssl=1 282 590 Teesnap Developer https://www.shakerrungolfclub.com//wp-content/uploads/2017/11/Shaker-Run_2-color-retro-1.png Teesnap Developer2018-06-06 20:38:262018-06-06 20:38:26New Low Rates - Book your Tee Time Today! 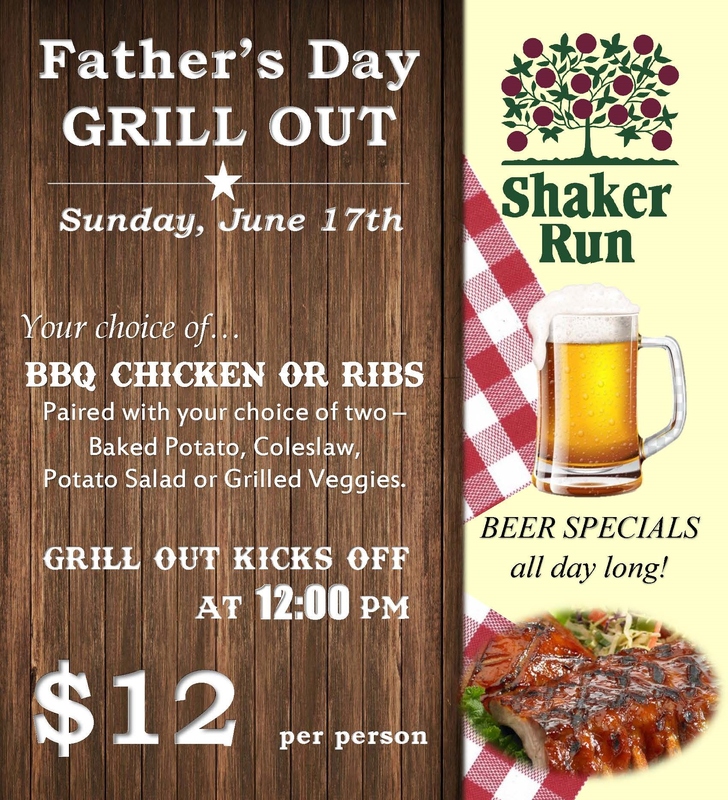 Bring the family to Celebrate with Dad this Father’s Day! Come on out to Shaker Run for a delicious Grill Out! https://i2.wp.com/www.shakerrungolfclub.com/wp-content/uploads/2018/06/2018-06-06_1802.png?fit=516%2C154&ssl=1 154 516 Teesnap Developer https://www.shakerrungolfclub.com//wp-content/uploads/2017/11/Shaker-Run_2-color-retro-1.png Teesnap Developer2018-06-06 18:03:312018-06-06 20:14:09Bring the family to Celebrate with Dad this Father's Day!